in order to make the artworks they had collected accessible to the public and to give as many people as possible a chance to experience the joy derived from a work of art. This Museum has an exhibition room in pride of place: its high ceilings and interior walls of marble produce a relaxed atmosphere with natural light pouring into the room; several more exhibition rooms are arranged to surround the inner patio. Accordingly, visitors can enjoy a spiritually enriching time apart from their daily life. The Museum’s collection encompasses more than 1500 works, including paintings, sculptures, handicrafts and antiquities. The museum holds four exhibitions each year, changing the theme in order to help visitors appreciate these works from a variety of perspectives and enjoy and feel close to the art; visitors can generally view about 70 works. 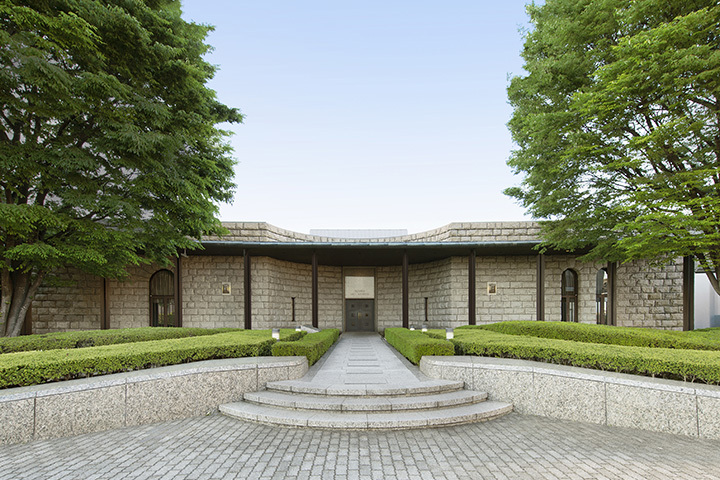 Visitors can carefully study a selection of masterpieces, such as European paintings by Edouard Manet and Vincent van Gogh, Japanese paintings by Taikan Yokoyama and Seison Maeda, and the Japanese Western-style painting of Ryuzaburo Umehara and Ryusei Kishida in a calm atmosphere. ※Please understand that the entire collection is not always exhibited.